Despite still approving of their country’s 2014 annexation of Crimea from Ukraine, fewer Russians view it as beneficial on the fifth anniversary of the annexation, a state-run survey has found. Independent polls have shown a yearly uptick in the percentage of Russians who believe that their country benefited from “the return of Crimea” despite economic sanctions that have led to a downturn in many Russians’ quality of life over the past five years. According to results published by the state-funded pollster FOM on Thursday, Russians generally view the annexation positively, with 77 percent of respondents in Russia’s mainland approving of it. 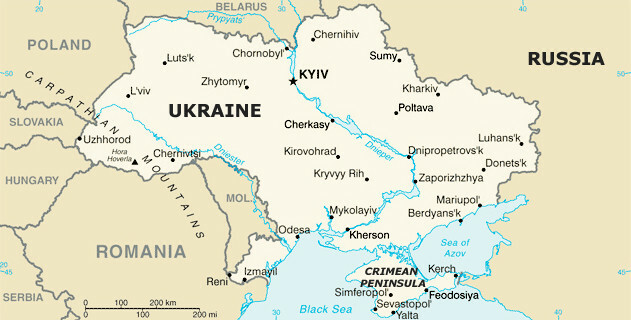 Just 39 percent of respondents, however, said the Crimean annexation was beneficial to the country. That marks a drop from 67 percent of Russians who saw benefits in the annexation in the spring of 2015, the Vedomosti business daily cited the poll results as saying. The share of Russians who saw equal benefit and harm in the annexation has risen from 15 percent to 39 percent in that period, it said. “Russians living in the backwoods who backed the peninsula’s annexation later felt the consequences of economic sanctions caused in part by the annexation itself,” Vedomosti wrote in an editorial. In a separate poll, 93 percent of respondents based in Crimea hold a positive view of “reunifying” with Russia five years ago, according to results published by the state-funded VTsIOM pollster on Thursday. In addition, 72 percent of Crimean respondents told VTsIOM their lives have improved since the annexation. VTsIOM conducted the poll among 1,600 Crimean respondents on March 10. FOM surveyed 1,500 respondents in 53 Russian regions on March 3.